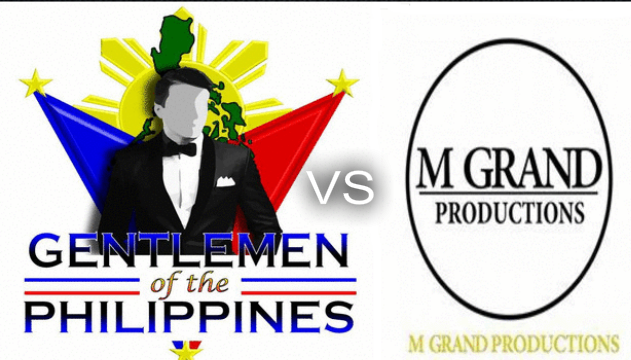 Home Gentlemen of the Philippines Pageant Controversy CEO claims Gentlemen of PH 2017 'Mr. National Universe PH" title as "INVALID"
CEO claims Gentlemen of PH 2017 'Mr. National Universe PH" title as "INVALID"
Ralf Lao from Tawi-Tawi was handed the 'Mister National Universe Philippines 2017' title during the grand finale of Gentlemen of the Philippines on September 9 at the Hotel Rembrandt Grand Ballroom in Quezon City. 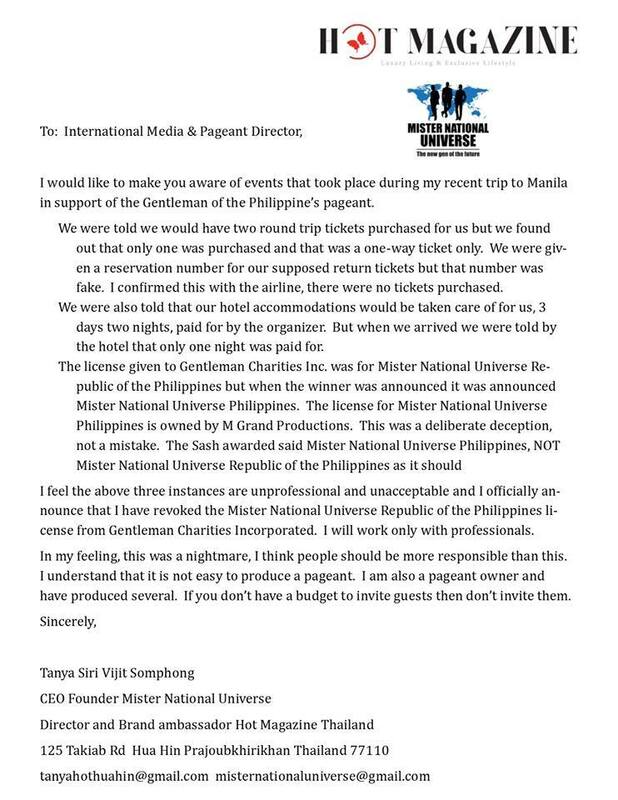 The title is supposed to earn his right to represent the Philippines at the Mister National Universe competition next year in Thailand but the CEO and Founder of the international competition claimed that the title given by Gentleman Charities Incorporated was invalid. I would like to make you aware of events that took place during my recent trip to Manila in support of the Gentleman of the Philippines pageant. 1. We were told we would have two round trip tickets purchased for us but we found out that only one was purchased and that was a one-way ticket only. We were given a reservation number for our supposed return tickets but that number was fake. I confirmed this with the airline, there were no tickets purchased. 2. We were also told that our hotel accommodations would be taken care of for us, 3 days two nights, paid for by the organizer. But when we arrived we were told by the hotel that only one night was paid for. 3. The license given to Gentleman Charities Inc. was for Mister National Universe Republic of the Philippines but when the winner was announced it was announced Mister National Universe Philippines. The license for Mister National Universe Philippines is owned by M Grand Productions. This was a deliberate deception, not a mistake. The Sash awarded said Mister National Universe Philippines, NOT Mister National Universe Republic of the Philippines as it should. I feel the above three instances are unprofessional and unacceptable and I officially announce that I have revoked the Mister National Universe Republic of the Philippines license from Gentleman Charities Incorporated. I will work only with professionals. In my feeling, this was a nightmare, I think people should be more responsible than this. I understand that it is not easy to produce a pageant. I am also a pageant owner and have produced several. If you don’t have a budget to invite guests then don’t invite them. "Believe me, I'm not feeling good at all about what happening but at least I tell all the true and my reaction about this. I can't work with unprofessional people anymore. I'm so sorry Ralf Lao". - Tanya Siri Vijitsomphong's statement on her Facebook. We are looking forward from hearing Gentlemen of the Philippines' side of the story.